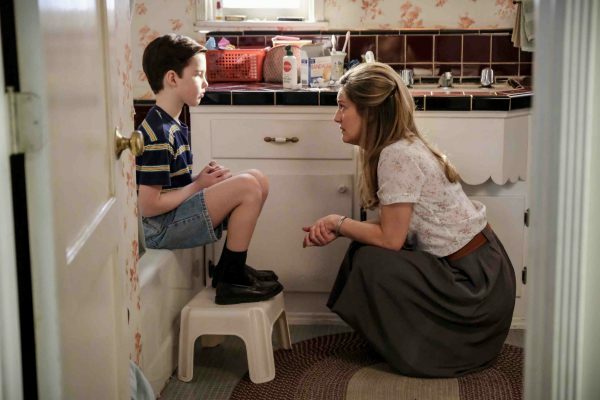 No doubt you’ve watched (or at least heard of) The Big Bang Theory, but how about Young Sheldon? Travel back in time to meet the iconic, eccentric and beloved Sheldon Cooper in his childhood with Young Sheldon: The Complete First Season, now available own on DVD, Blu-ray and Digital. For the last decade on The Big Bang Theory, audiences have come to know the extraordinary Sheldon Cooper. Now, this single-camera, half-hour comedy gives us the chance to meet him in childhood, as he embarks on his innocent, awkward and hopeful journey toward the man he will become. Created and executive produced by The Big Bang Theory’s Chuck Lorre and Steven Molaro, Young Sheldon is also executive produced and narrated by Jim Parsons who plays Sheldon Cooper on The Big Bang Theory. The star cast features Iain Armitage, Zoe Perry, Lance Barber, Annie Potts, Montana Jordan and Raegan Revord. For nine-year-old Sheldon Cooper, it isn’t easy growing up in East Texas. Being a once-in-a-generation mind capable of advanced mathematics and science isn’t always helpful in a land where church and football are king. While the vulnerable, gifted and somewhat naïve Sheldon deals with the world, his very normal family must find a way to deal with him. His father, George, is struggling to find his way as a high school football coach and as father to a boy he doesn’t understand. Sheldon’s mother, Mary, fiercely protects and nurtures her son in a town where he just doesn’t fit in. Sheldon’s older brother, Georgie, does the best he can in high school, but it’s tough to be cool when you’re in the same classes with your odd nine-year-old brother. Sheldon’s twin sister, Missy, who sometimes resents all the attention Sheldon gets, but also remains the one person who can reliably tell Sheldon the truth. Finally, there’s Sheldon’s beloved Meemaw, his foul-mouthed, hard-drinking Texas grandmother who’s supportive of her grandson and his unique gifts. 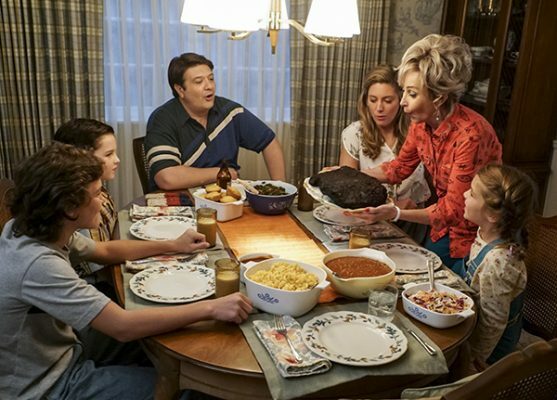 Young Sheldon: The Complete First Season includes twenty-two half-hour episodes as well as all-new bonus features, and now you can catch up by entering to win your own copy! 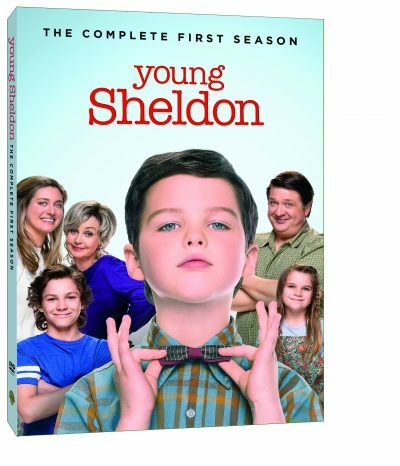 Reader Giveaway: One lucky Chic ‘n Savvy reader will receive Young Sheldon: The Complete First Season on DVD. 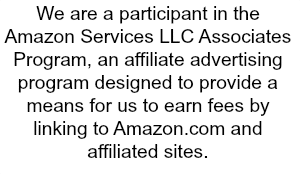 To enter, just complete the form below by 11:59 pm ET on 9/24/18. Good luck! I like Lenard the best. He’s cute, and smart too. I haven’t seen the show yet, but Sheldon has to be fun. I haven’t seen either show but I think Sheldon sounds like the most interesting character. Bernadette is my favorite character from Big Bang Theory and Sheldon is my favorite character from Young Sheldon. I would love to win so I can rewatch this show. I like Sheldon in both because he is so neurotic. My daughter and I love to watch both shows together. My favorite character is Leonard. I actually haven’t had a chance to watch Young Sheldon yet. Penny rocks in my opinion. She’s the glue holding them all together. Well, of course, Sheldon is my favorite! I haven’t had a chance to watch Young Sheldon so I’d really appreciate being able to binge watch the first season! I’ve never seen the show, but I think Young Sheldon is a hoot! My favorite Big Bang character is Sheldon’s mom. I have never seen Young Sheldon yet but love the older version in Big Bang Theory. I like Lenard the best. I think Young Sheldon is great! So cute and a wonderful actor! On young Sheldon, Sheldon is my favorite but big bang it’s leonard! I like Sheldon because he makes me laugh. Penny is my favorite character from Big Bang Theory and Sheldon is my favorite character from Young Sheldon. I would love to win so I can show my kids the show.. I like Missy. She is so sassy! I like Leonard. He’s funny. Amy is my fave. She’s so funny! I’ve always really loved Sheldon, but they are all awesome characters. sheldon is my favorite in both shows. he is so funny. My favorite is Sheldon on BBT and Me-maw on YS. They are just so funny! Sheldon is fun, but I like Leonard. Sheldon is my favorite in both shows. I’ve never seen it before. It looks fun. We like Sheldon, especially from Young Sheldon. I love the grandmother on Young Sheldon. She has so much spirit and is so funny! I have never seen this show but my daughter is a huge fan..I would love this for her. Sheldon is my favorite character in both shows. Sheldon is my favorite on both shows! I love Sheldon from Big Bang. I am really sad this is the last season. I love Meemaw. She is the best grandmother. I love her quick comebacks and how she hides things from the parents. Just like a grandmother. I’ve never seen the show but I’ve heard it’s really good. Something we could watch as a family. oN young sheldon i love his little sister. I like Sheldon from Big Bang Theory. Our family loves Sheldon. The kids love this show. Sheldon is my favorite. That show makes me laugh so much! I haven’t seen the Sheldon show yet, but I do love watching The Big Band theory. Thanks! I love Sheldon’s mom. I love the actress and think she is so much like her actress mom! Sheldon is my favorite. It would be interesting to watch Sheldon as a young boy. I like Meemaw the most since she says what she feels. 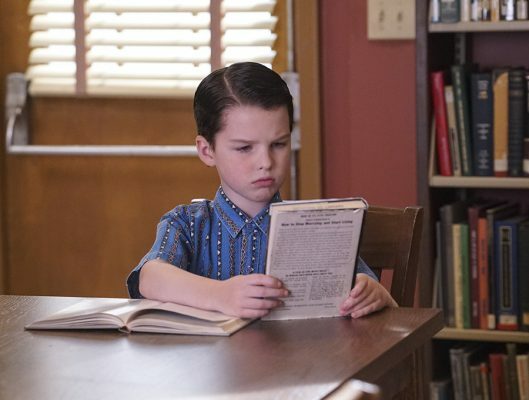 I like Young Sheldon since the parent show is ending this year and I always wanted to know what he was like as a child. I like Sheldon the best. Sheldon is my favorite on both shows!! Sheldon and I’m excited to see the show showing him as a child. I have not seen young Sheldon yet and from the original show I like Penny the best. I wish I had been more like her.